Lola is a gorgeous female pit mix, roughly 2 years old, with an enjoyable demeanor! 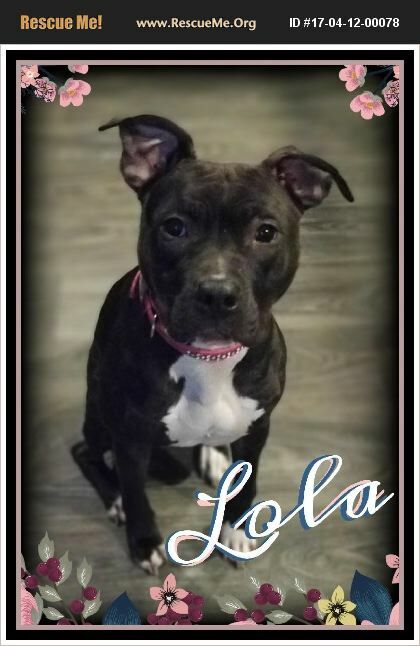 Lola is a respectful young lady who is crate trained, knows her basic commands, is socialized with other dogs and has been around young children. She is an absolute doll! She attends pack walks and play groups and has been a joy to have around. She's playful with other well balanced dogs, yet respectful enough to know when to calm down. Lola has been in foster homes with small dogs, larger dogs, men, woman, children, cats and other small animals. She's an absolute sweetheart who deserves to find herself a family who will enjoy her as much as S&D K9 has enjoyed getting to know her. If you'd like to meet Lola, or any of our other rescue dogs, please email SDK9Rehab@gmail.com - they'd love to show her off to you!